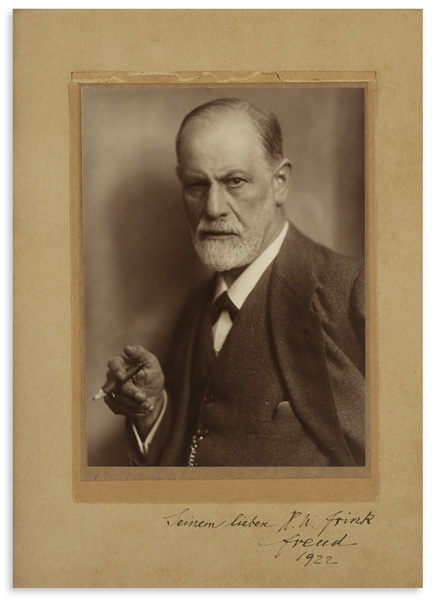 Lot 75: Sigmund Freud, photograph by Halberstadt, signed & inscribed to Horace W. Frink, 1922. Sold for $20,000. 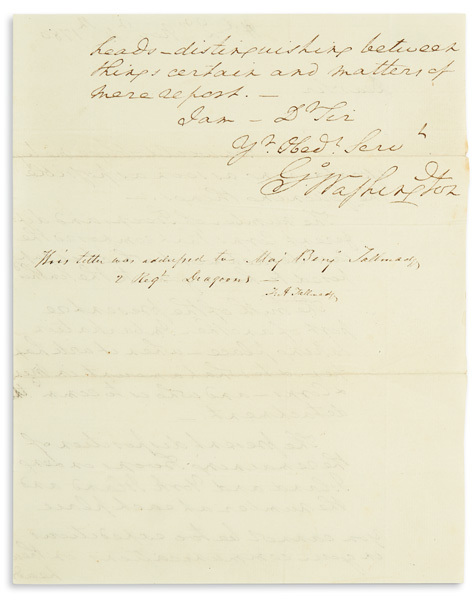 Lot 7: George Washington, Autograph Letter Signed, to his spymaster Benjamin Tallmadge, New Jersey, 1780. Sold for $40,000. 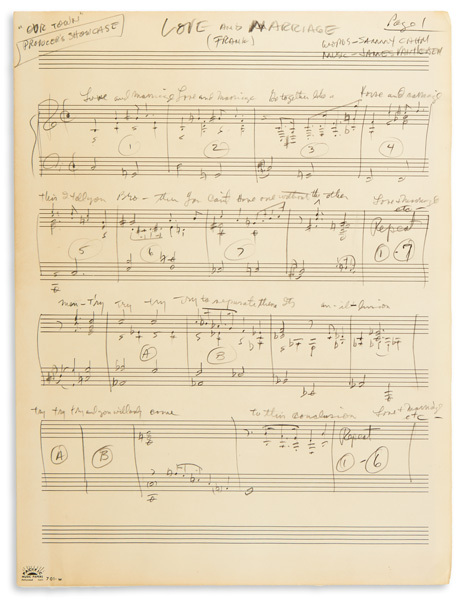 Lot 213: Jimmy Van Heusen, Autograph Musical Manuscript Signed, twice, draft for the vocal score of Love and Marriage, circa 1955. Sold for $7,000. 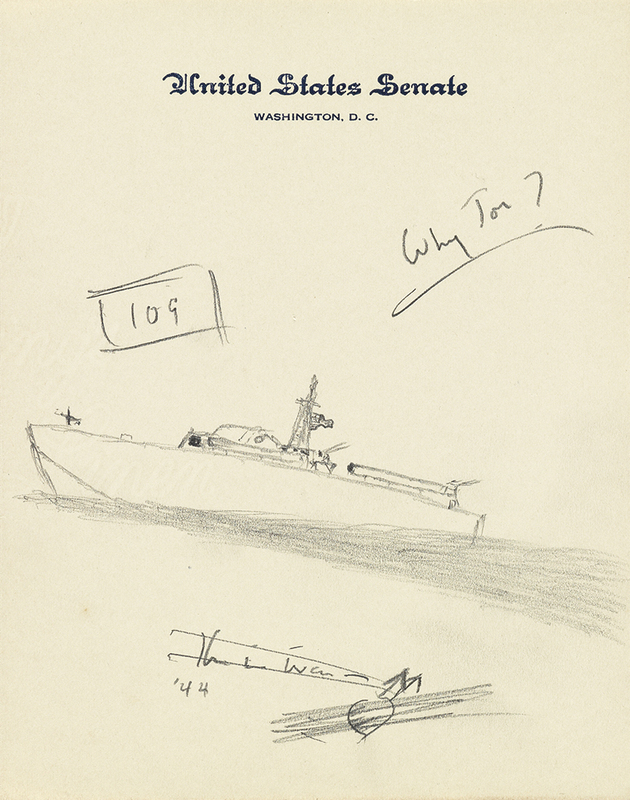 Lot 108: John F. Kennedy, unsigned sketch of a PT-109, Washington D.C., 1950s. Sold for $11,050. 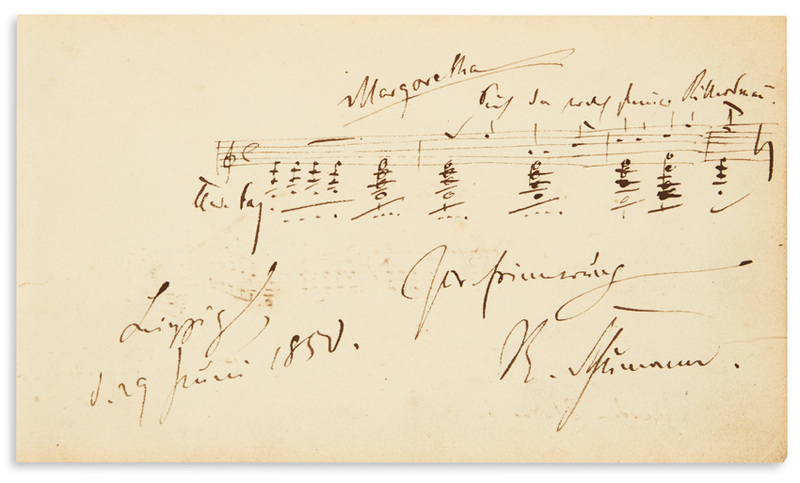 Lot 201: Robert Schumann, Autograph Musical Quotation, dated & signed, from the first act of Genoveva, Leipzig, 1850.